Major Reduction!! 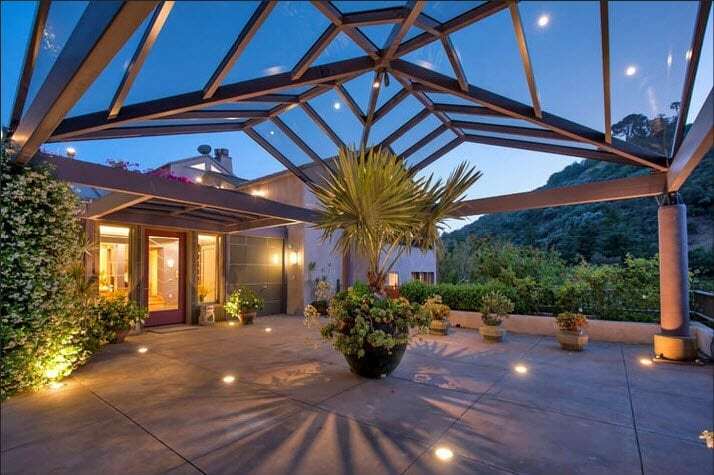 Enter via a private drive to this exquisite architectural home perched high in the canyon. 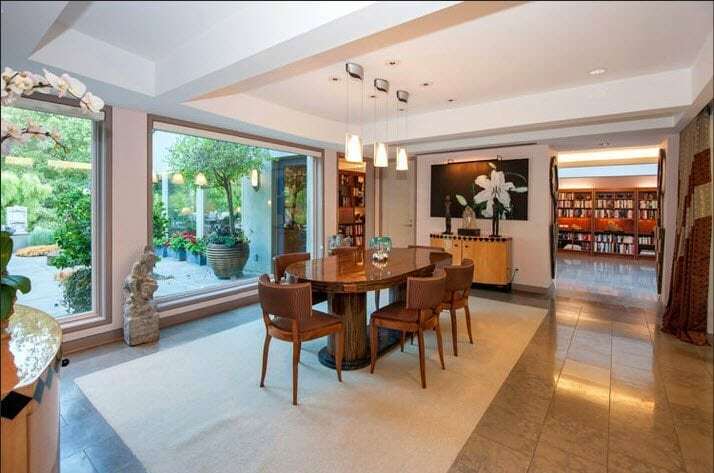 This stunning home, redone by renowned architect Leslie Armstrong is steeped in Hollywood history. 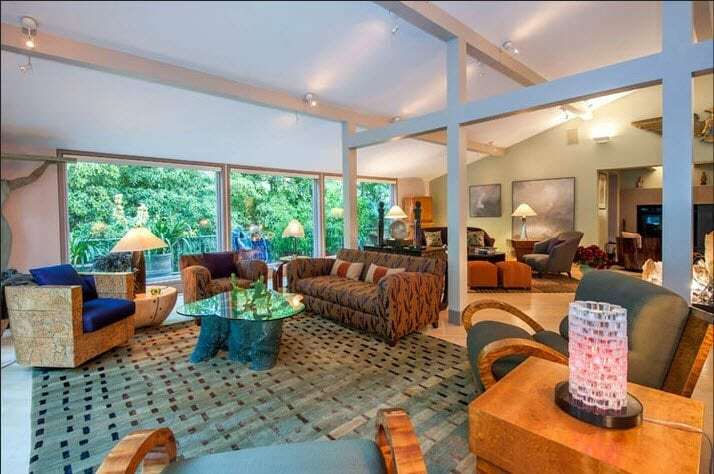 The original house was built for the film "Strangers When We Meet" and was once home to actress Kim Novak. This unique property is set on over 2 acres and takes full advantage of its extremely private location with expansive views, walls of glass and a dramatic landscape. The large motor court and open floor plan were designed for the art of living and entertaining in a home that is, in itself, a work of art. 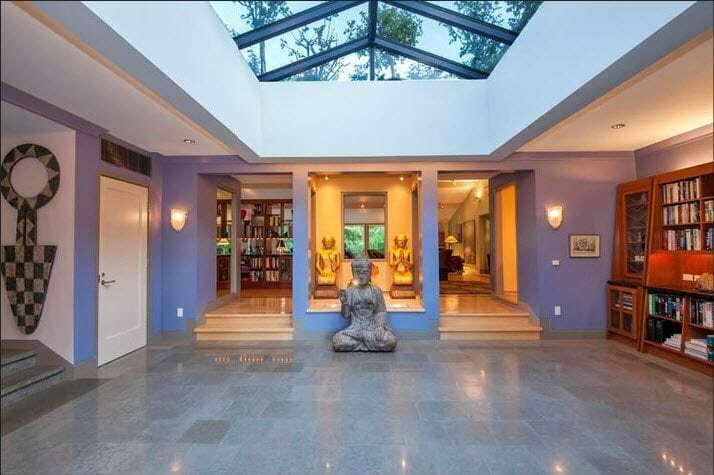 Beautiful skylights and expansive windows make the most of this unparalleled and serene setting. The many sitting and entertaining areas are flooded with light and everywhere you look are custom built-ins, architectural details, and striking finishes. The epicurean kitchen flows into the formal dining area and features: Sub Zero, wine cooler, Wolf ovens and cook-top, and 2 Miele dishwashers. The exceptional master suite is oriented to take advantage of the greenery with a wall of windows and features recessed lighting, pitched ceilings, dual walk-in closets with dressing areas, wonderful built-ins, and access to the rooftop garden. 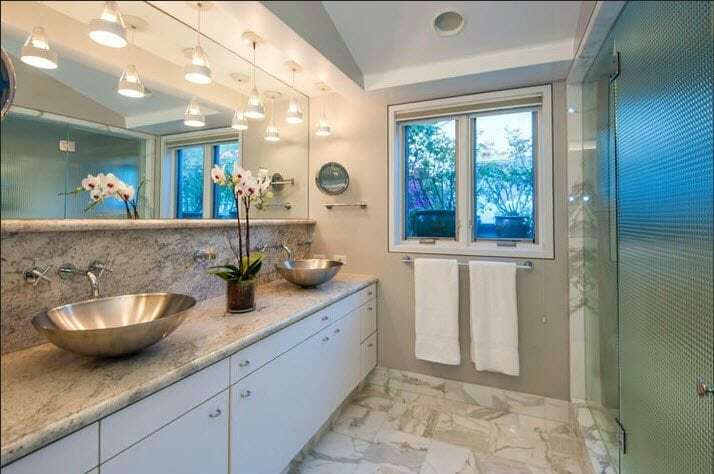 The master bath boasts marble floors, privacy glass, and shower with eight shower heads. This home perfectly complements its surrounding environment with landscaping that creates a seamless indoor outdoor flow. The pool area is perfect for entertaining guests or relaxing undisturbed while you soak in this exclusive, tranquil setting with quiet gardens, walking paths, and canyon greenery. 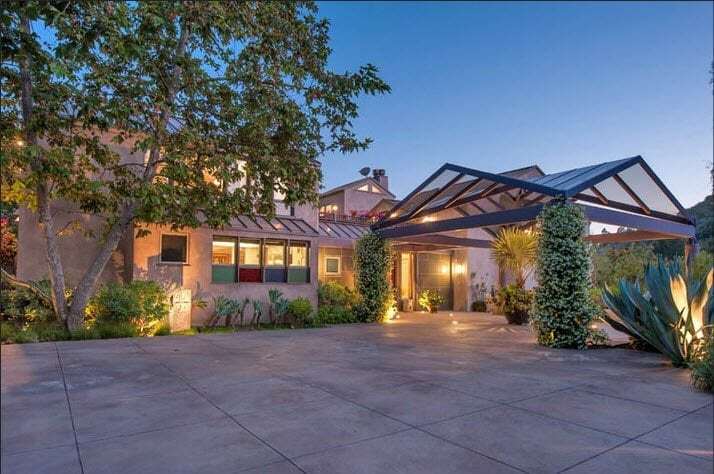 This one of a kind home holds a rich history and is incomparable in setting and exceptional design. Interested in 930 Chantilly Rd?